An accident at a fair started a journey through time to stop Lavos from destroying Earth. Along the way,Chrono meets allies and witnesses the past and future.Can they stop the destruction before it's too late. A great rpg, it has 13 different endings depending on when you choose to fight Lavos. This is one of the best ones from the snes era. Definitely check this one out. 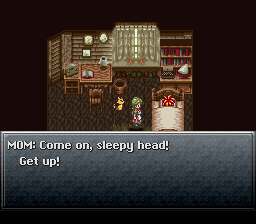 This rpg is one of the best from the snes era. A young man named Chrono must unravel the mystery of who/what has destroyed the world. He embarks on a journey through the past and future to find allies and uncover the truth. This game has 13 different endings depending on when you fight the final boss. I recommend playing this game. Great story,memorable characters and music. Now you can add videos, screenshots, or other images (cover scans, disc scans, etc.) 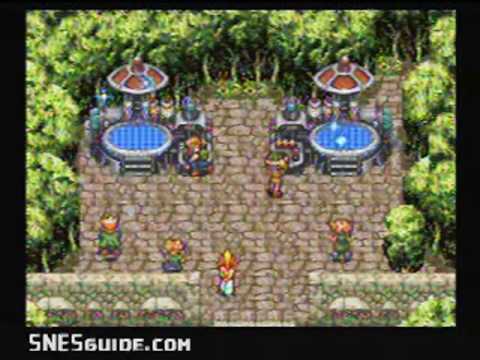 for Chrono Trigger (USA) [En by Doctor L v1.01] to Emuparadise. Do it now! If you haven't noticed yet, we have a retro game of the day feature (top-right of the screen) wherein we feature a new retro title every single day! Now, you can vote for your favorite games and allow them to have their moment of glory. 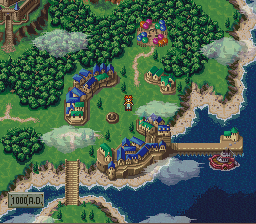 Click on the button below to nominate Chrono Trigger (USA) [En by Doctor L v1.01] for Retro Game of the Day.